Moms (and dads!) across the country shared their best time-saving and multi-tasking tips with us. 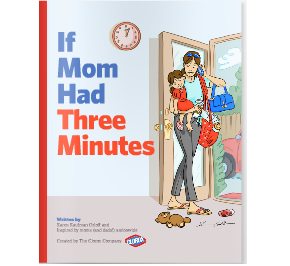 Now you can get the scoop too by downloading the free If Mom Had Three Minutes e-book, inspired by their advice and written by children’s book author Karen Kaufman Orloff. Make the most of every minute with this free e-book.